Providing online access to all in need of a quality Jewish education. Need a Hebrew School that fits into your busy schedule? Want a quality Jewish education for your child? 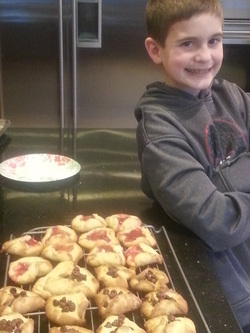 Looking for Jewish learning that your child will enjoy? Would you like a Jewish education that is tailored to your child's strengths? Does your child need a little extra Hebrew tutoring? Then eJewcate Me is for you! Every Jewish child deserves access to an outstanding Jewish education! At eJewcate Me, we provide your child with an excellent ­­Jewish education when it is convenient for you, wherever you are located. eJewcate Me incorporates cutting edge technology featuring a web-based curriculum that utilizes animation, video clips, games and other exciting multimedia sources. Lessons at eJewcate Me can be accessed 24/7 through any internet connection. ​NOW OFFERING BEGINNING ADULT HEBREW! 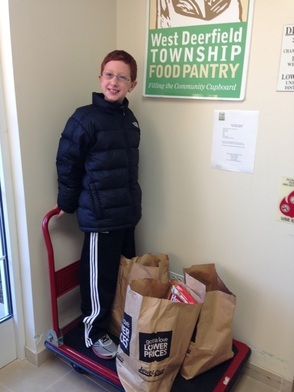 Eli completing his Mitzvah lesson of bringing food to a local food pantry. Content copyrighted 2013-2018. All rights reserved.